So, you've heard about content upgrades and passive income. But how the heck do you make it? Maybe you've tried free programs like Canva before, but you want something with a lot more customization. Or maybe you've created them in Photoshop before, but you know there has to be an easier way. Well, my friend, there is. Join me, Caitlin Cheevers, with the InDesign Adventure Guide to find out how! You've got an awesome idea for a content upgrade on your blog post that will get you even more email subscribers. You've already got an InDesign template set up, so you open up the file and 15 painless minutes later, your content upgrade is done. You want to start making some income from your blog, and you've got an excellent idea for an ebook. 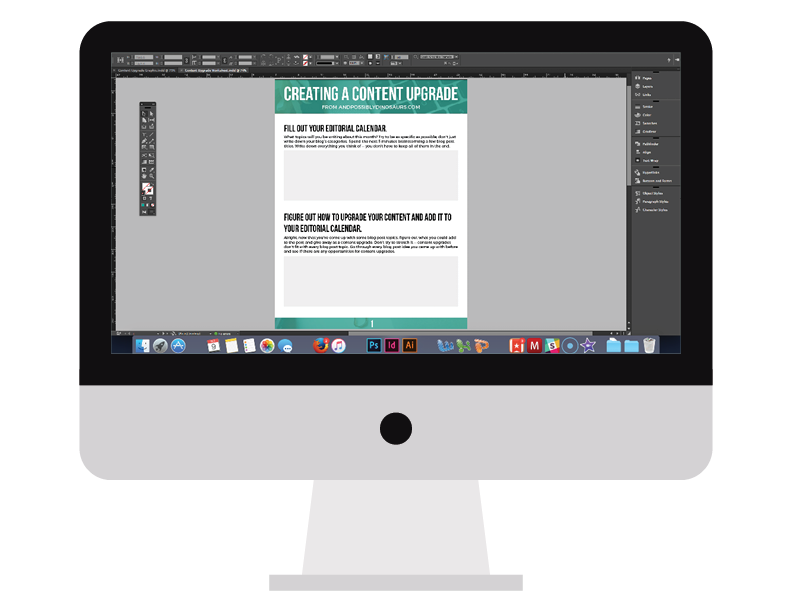 You take your content upgrade InDesign template, give it some updates, and get writing. A few weeks later, you post your ebook online. Suddenly, your blog is paying for itself. Can I really learn all of that in this course? Yes you can! 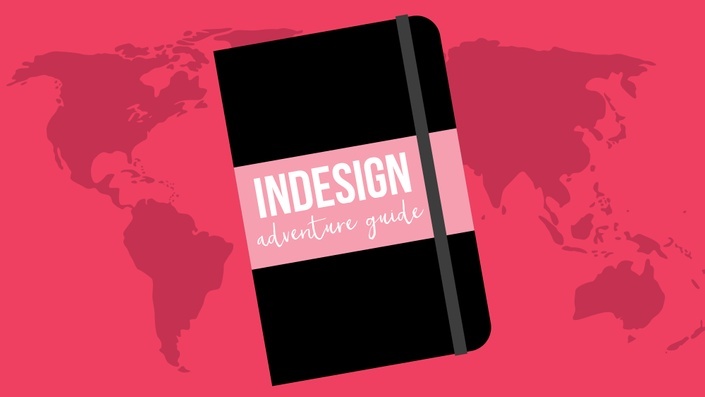 In the InDesign Adventure Guide, you'll learn all the ways InDesign can take your blog to the next level. Even if you have zero design experience, you'll leave the class a total pro. This isn't one of those courses where you learn how to draw shapes and have to figure out how to apply them to real life. I'm going to walk you through the steps as you create a worksheet and a workbook that you can give out as content upgrades or sell for passive income. That's right. You'll finish this class with actual products you can use to grow your blog. What will I be making in this course? 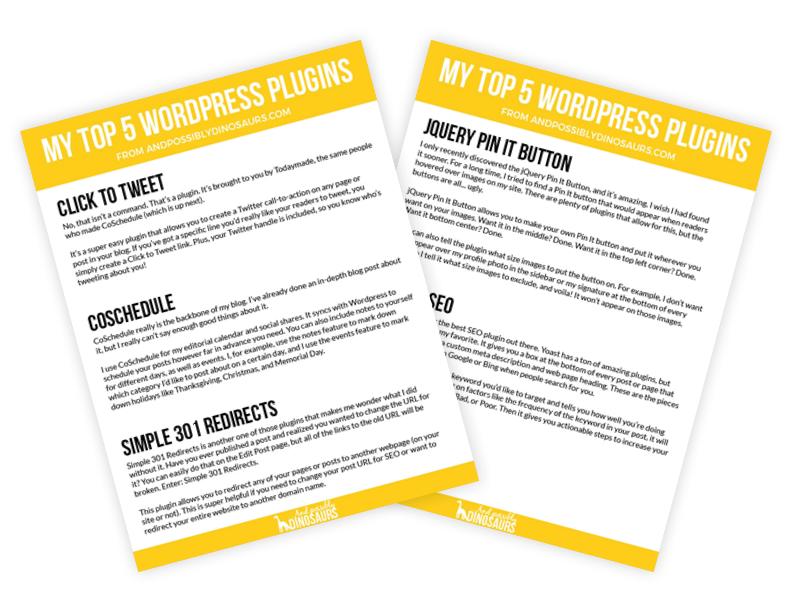 All three of these projects will help you grow your blog. They'll be specific to your style and your niche, so you can use them as often as you'd like! And don't worry, they'll be painless. I promise. How do I know you're f'real? Great question! I've been using Adobe InDesign for 10 years. I studied journalism in college and worked for the school's newspaper. Both helped me learn even more tricks about using InDesign. But I didn't really understand all of the benefits until I started my blog, And Possibly Dinosaurs. Before long, I was making content upgrades to grow my email list, creating worksheets that people could not only print out, but also fill out right from their computer. It's way easier to do than I ever thought possible. So now it's my turn to teach you. But what if I'm not a designer? You don't have to be! I'm going to walk you through all of the steps of using InDesign from start to finish, no design degree required. Have you messed around with fonts in Microsoft Word? Then you'll understand this course. I hate seeing people give up on their dreams just because they're intimidated by InDesign. So I'm going to help you understand how to use it for your blog or business, even if you have no design experience at all. The course starts now and runs for as long or short of a time as you need. It's all self-paced, so take your time with it! What do I need to start this course? Caitlin is the founder of And Possibly Dinosaurs, a community devoted to helping you start your own blog and business by making the intimidating aspects easy to comprehend. She's been using InDesign regularly for almost 10 years, and has learned all of the little secrets that bloggers need to take advantage of the program. She's created worksheets, content upgrades, and even a book in InDesign. You want to grow your blog audience. You've got lots of ideas for passive income but don't necessarily know how to create it. You're dedicated to learning InDesign. You don't want to have to hire a designer every time you want to create a graphic for your blog. Tech issues have stopped you from finally creating that ebook you've dreamed about. Just opening InDesign gives you major anxiety. You've already got a busy workload. There are several hours' worth of video tutorials in this course! You don't want to grow your blog's traffic or make more money through passive income. You're happy paying a graphic designer hundreds of dollars every time you need design work. You'll get immediate access to all of the lessons that you can watch as many times as you'd like. Note: The price will go up when I rebrand and relaunch this course in summer 2019! Lock in the price now and you'll get all of the upgraded content when it relaunches later this year.